Blaine and Barbara Cutter are natives of Western Maryland and currently reside in Damascus where they have lived for 30 years. They have one son Christopher Louis Cutter who is 28 years old. Along with pastoring First Wesleyan Church in Cresaptown, Maryland, for the last three years Blaine has worked at GEICO for 30 years. As a young boy, Blaine attended First Wesleyan church and was saved there at age eight. Barbara has worked at Asbury Nursing Home for 30 years as a nursing assistant. In their spare time, Blaine enjoys playing softball, coaching basketball, and visiting his son at Longhorn Steakhouse for a filet mignon steak! Barbara loves to play computer games, watch movies and her favorite TV show, Hawaii Five-O. They both enjoy spending time together and going on vacation to the beaches in Florida and Hawaii. "I am fifty-three years old, and I married the love of my life and best friend Debi on August 23, 1986. We have two wonderful children, Courtney 26 and Eddie D. 22. Courtney is currently teaching first grade in Somerset County, Maryland, and Eddie is attending Salisbury University where he is majoring in Elementary Education. Eddie also attended Indiana Wesleyan University for two years. God called me into the ministry at the age of 40. Previously I pastored two Methodist Churches for a total of seven years before I accepted the appointment to Gumboro Wesleyan Church in July of 2015. I was ordained in The Wesleyan Church in October of 2015, and continue to pastor in Gumboro, Delaware. I also continue to work on the water - crabbing in the summer and oystering in the winter. My hobbies include fishing, hunting, and playing golf with my son. And I also love to go junking with my wife Debi. I love the Lord with all my heart and have a passion for winning the lost for Christ. I thank the lord for making me a FISHERMAN!" Pastor Robert Beckles was born in 1945 to David and Gwen Beckles and grew up in Georgetown, Cooperative Republic of Guyana on the Northern tip of South America. Pastor Beckles was the second of eleven siblings and at age thirteen attended Sunday school at the Pilgrim Holiness Church located in Georgetown where in 1963 he gave his life to Christ. Pastor Beckles served his local church as a youth leader until 1966 when God called him into ministry. At that time God opened doors for him to attend the Caribbean Wesleyan College in Bridgetown, Barbados. He then returned to Guyana to pastor his home church. In 1973 Pastor Beckles married June Ann nee McLennan, and the relationship produced two boys who are now married with two children of their own. During his ministry in Guyana, he attended the University of Guyana for two years and in 1981 left for the USA to study at Marion College now Indiana Wesleyan University (IWU). Pastor Beckles completed 78 credits in a year and half at IWU, from there he attended Western Evangelical Seminary (George Fox University) in Portland, Oregon for two years and then completed one year of Clinical Pastoral Education at the Methodist Hospital in New York City. At the end of this training he received a Master of Arts degree in Pastoral Counseling. Pastor Beckles was on track to lead the Guyana Bible Institute, but circumstances did not work out for the appointment. Without an available position, he was offered a pastorate in an inner city Nazarene Church in Baltimore. In 1990 the opportunity to lead Oxon Hill Wesleyan Church became available. Due to the unfortunate church fire at Oxon Hill, Pastor Beckles is currently serving as pastor for both College Park Wesleyan Church and Oxon Hill First Wesleyan Church. Pastor Beckles says, "There is light at the end of the tunnel as the congregation continues to attempt to rebuild the Oxon Hill church building. It is my desire to continue serving God and do all I can to enhance the Kingdom of God. My thanks go to God for allowing me 54 years of Christian living, 47 years of Christian ministry and 44 years of marriage." Kenneth Wagner grew up in North Carolina. After graduation from high school, Kenneth headed to Southern Wesleyan University in South Carolina where he played baseball, majored in ministry, and met his wife Sherry. Fast forward four years, Kenneth and Sherry were married and moved to Harrington, Delaware where he took on the role of Lead Student Pastor at Calvary Wesleyan Church for seven years. He stepped out of his role at Calvary Wesleyan with the blessing of the Lead Pastor, Ken Figgs, to launch UNITED Church in Dover, Delaware. Just a few months after watching the dream that God had placed in Kenneth's heart be born into reality, he had the joy of watching his son be born. On January 9, 2016, Jase Anthony Wagner entered the world and grew the Wagner family from two to three. Jase is now 18 months old and is the pride and joy of Kenneth and Sherry. In addition to leading UNITED Church, being a husband to Sherry, and being a Father to Jase, you can find Pastor Kenneth keeping his love for sports alive as he plays on the UNITED Churchsoftball team. Some of his favorite sports teams include the Carolina Panther and the Chicago Cubs. Wrigley Field is not only home to his favorite baseball team, but is also where he asked Sherry to marry him. You can also often find him working in Starbucks, enjoying a venti double shot on ice as he dreams and plans the future of UNITED. Pastor Wayne Parsons joined the Chesapeake District in 2003 and has served as pastor of Impact Church of Fruitland since 2011. Wayne and his wife Cathy recently celebrated their 25thwedding anniversary. 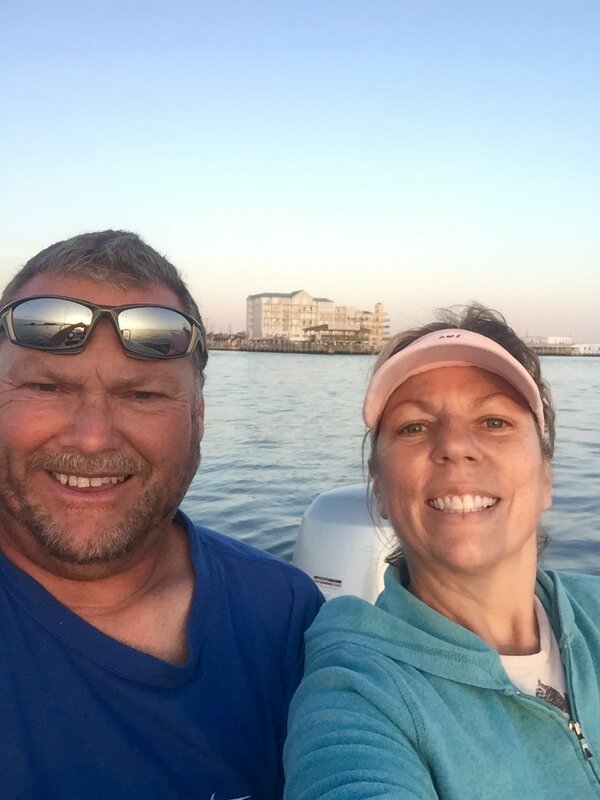 Wayne grew up in the Delmar and Laurel area of the Eastern Shore, and Cathy grew up in Harrington, Delaware. Wayne and Cathy have two children. Their daughter Sierra graduated from Salisbury University in 2016 with a Bachelor's Degree in Art Therapy and was married on March 18, 2017 to Sam Grahovac. The couple now resides in Salisbury, Maryland where Sam is employed by the city of Fruitland, while Sierra works at a local daycare/pre-school. Hunter their son is an incoming junior at the University of Maryland in College Park. Hunter is there on a baseball scholarship and is majoring in Kinesiology. Hunter will be traveling this summer to play in the Cape Cod Summer League. 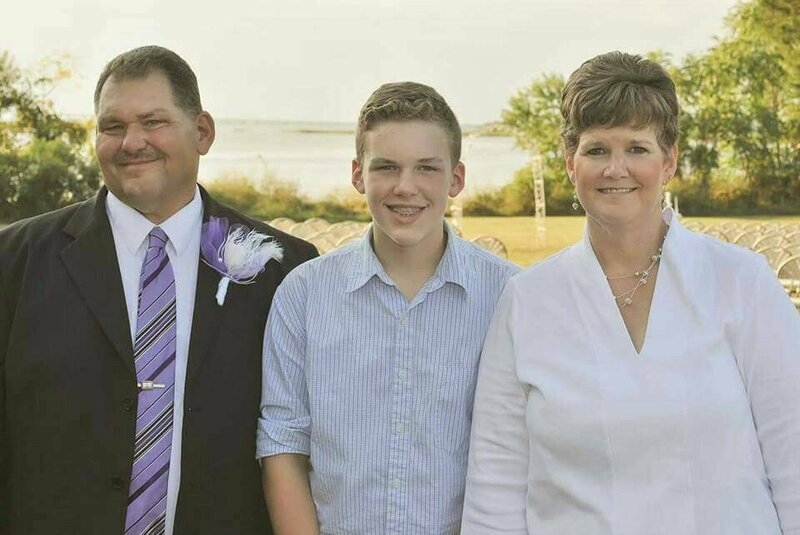 Pastor Wayne enjoys coaching baseball and basketball and is a certified high school baseball umpire. Lynette Thomas was born in Guyana South America, and by the age of 7 both of her parents had died leaving her and her siblings as orphans to be raised by their aunt (father's sister). She gave her heart to the Lord at the age of 10 and from the tender age of 15 she heard the call of God on her life. She graduated from Caribbean Wesleyan College and was given the duty of pastoring in Curacao, Netherlands Antilles, where she married Oswald Thomas, the music minister and had two children: McKinley (an IT specialist for a Law Firm in Baltimore) and Meleny (a nonprofit youth director, PhD student, and author). From Curacao, the Thomas' moved to Barbados, where Lynette pastored for four and a half years before migrating to the United States of America with her family. 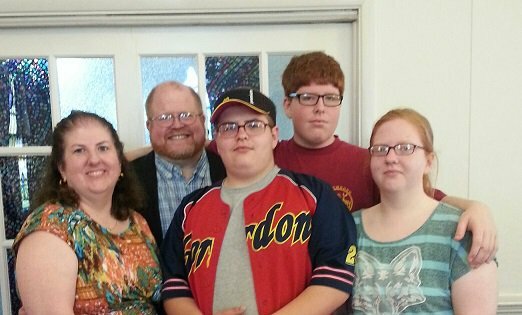 For the past thirteen years, Lynette and her family have ministered at Baltimore Emmanuel Wesleyan Church. This ministry in Baltimore is one of the most challenging and demanding of all her 38 years of ministry. Although it is challenging, Lynette has seen many lives transformed and changed for the better. "I've seen drug addicts, prostitutes and the lowest of people turn around and seek God for themselves," writes Lynette. "I've witnessed entire families being transformed through the power of God and prayer. Many who have never been in a church before or have never known about God or the Bible have had that experience here. I know that God is not finished here with this work, and I am believing Him for better." Baltimore Emmanuel Wesleyan Church ministers to those that need clothes and food through their pantries. Lynette personally provides cooking demonstrations to show families how to prepare healthy meals. Oswald, Lynette's husband, serves as the music minister and her son and daughter fill many roles in the church; including transportation, the children's ministry and any other role needed. 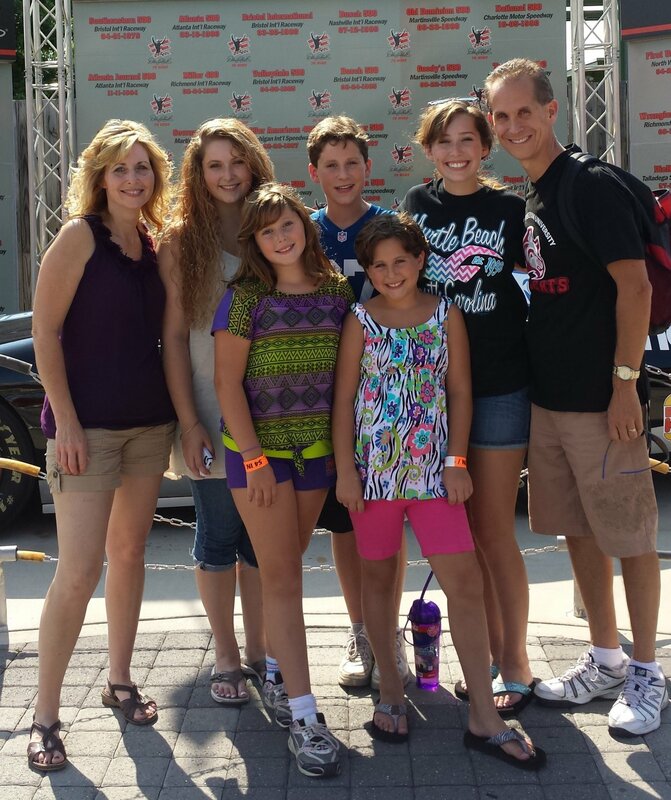 "I am so glad to be a part of this glorious ministry with my family and church family," Lynette shares. "My desire and prayer is to see many souls in Baltimore come to know the Lord as their personal Savior. Continue to pray for us here, as we pray for all the other churches." James Walsh serves as the pastor of Pleasant Hill Wesleyan Church in Elkton, Maryland. Since his appointment, Pleasant Hill Church has developed a passion to reach their community. One of the church's on-going contributions is collecting nonperishable food items for Leads Elementary School. These food items provide underprivileged children meals during days when there is no school. Along with pastoring, Pastor James works full-time as the Recreations Director at Cokesbury Village Retirement Community located in Hockessin, Delaware. In his position with the retirement community, Pastor James works with the elderly, develops programs, coordinates volunteers, meets with families, and plans activities for residents. James received his bachelor's degree in fine arts and art therapy from the University of the Arts. He is also a board certified activity professional through the National Association of Activity Professionals Credentialing Center and a member of the Delaware Consortium of Activity Professionals. He completed his requirements for his ministerial licensing through the FLAME program and is currently working towards ordination through the Wesleyan Correspondence Courses. James and his wife, Mary were married in 2001. Mary works at the University of Delaware as an administrative assistant. They have three children: James (9th grade) and twins Caitlin and Joshua (6th grade). James is a passionate student of Martial arts and has earned his black belt in multiple styles/systems. He is Chaplain Advisor for Boys Scouts Troop 29 in Wilmington, Delaware where both of his boys participate in the scouting program. During his free time, James enjoys hiking, camping, biking, kayaking and swimming; especially when he can do these things with his family. James believes that ministry is not limited to the confines of the church building. Instead, God can use us every day wherever we are to minister to others. It is through our interaction with others that the love of Jesus Christ is shared. He often reminds his congregation, "The great commission needs to be the focus point in all aspects of our lives, not just on Sunday Morning." Dr. Meredith Griffin serves as the founding and senior pastor of Harvest Christian Fellowship in Wilmington, Delaware. Dr. Doris Griffin serves alongside her husband as assistant pastor. Together, they planted Harvest Christian Fellowship in January 2007 as a non-denominational church from the Baptist tradition. In September 2008, Harvest Christian Fellowship became part of The Wesleyan Church. Dr. Meredith was born in Norfolk, Virginia, and reared in Wilmington, Delaware. Dr. Doris was born in Montclair, New Jersey, and reared in Baltimore, Maryland. 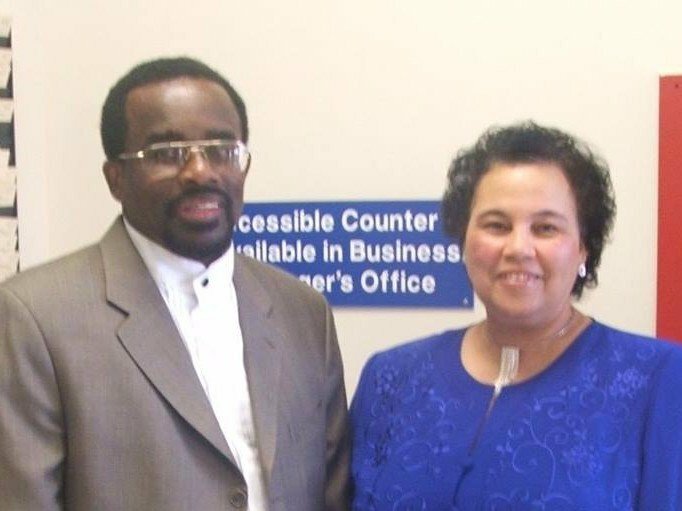 This ministry couple met while undergraduates at Hampton University in Hampton, Virginia. Dr. Meredith was ordained in 1996, and Dr. Doris was ordained in 2006. 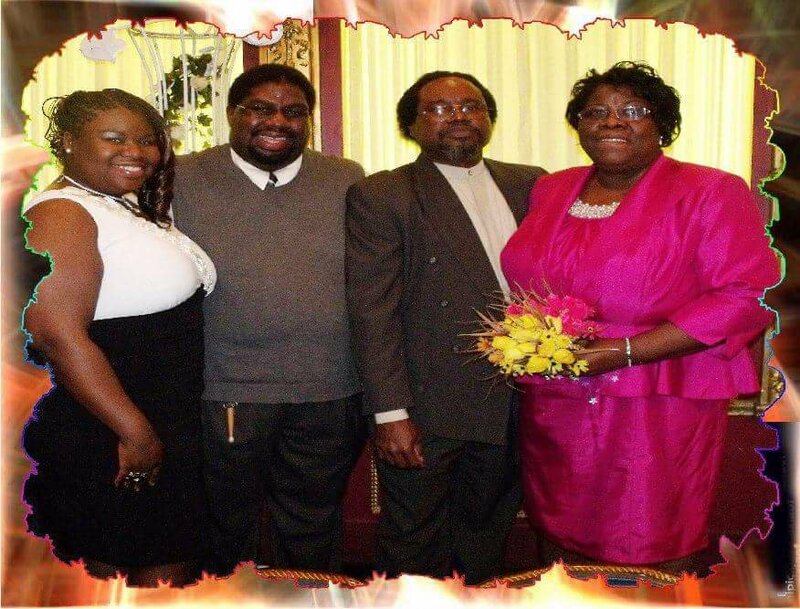 The Griffins have been married for over 25 years and have two children, Rolanda Natalie and Meredith III. Rolanda is an Elementary Education major at Delaware State University, and Meredith III will be graduating from high school this June and attending Delaware State University in the fall. The family resides in Newark, Delaware. 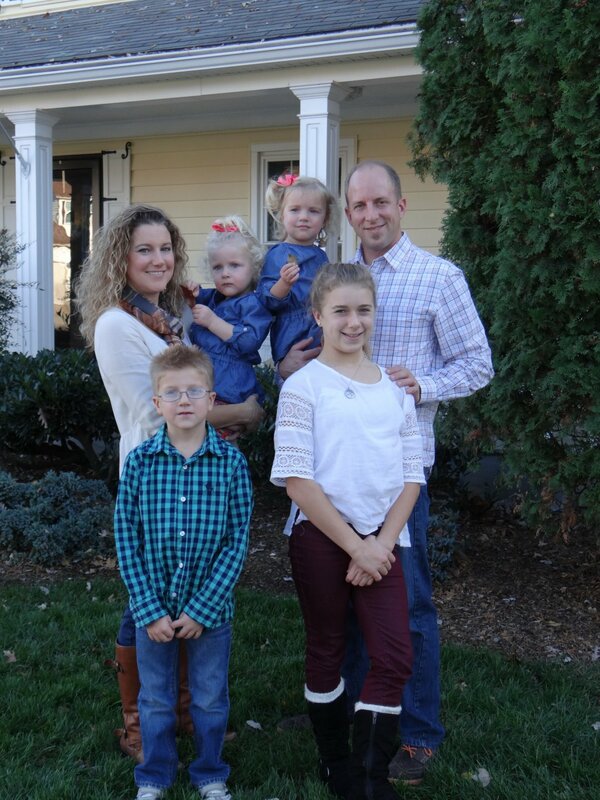 The Griffins are deeply committed to leading Harvest Christian Fellowship to be a beacon of light in northern New Castle County, Delaware, and beyond. To this end, Harvest Christian Fellowship has partnered with various schools and outreach agencies to be a tangible expression of God's love in the community. They believe that a disciple is a person who loves God with all their heart, loves their neighbor as themselves, and lives to serve others rather than be served. Harvest Christian Fellowship, under their leadership, seeks to make disciples in that mold. They are excited to see how God is impacting lives and the community through this growing local church. The Griffins are active servant leaders in the community. Both serve or have served on numerous boards, committees, and organizations. Both are deeply engaged in education advocacy and work in the field. Dr. Doris is the executive director of the Delaware Adolescent Program, Inc., a statewide program that ensures that pregnant and parenting teens continue to receive quality education. In addition, she is a member of the National Coalition of 100 Black Women and serves as Adjunct Program Coordinator in the Administration of Human Services Program at Wilmington University. Also at Wilmington University, Dr. Doris serves as an adjunct instructor, the advisor for the Honor Society, and is a member of the university chapter of Toastmasters. Dr. Meredith serves as education committee chair for the Interdenominational Ministers Action Council of Delaware and is a commissioner on the Wilmington Education Improvement Commission. He has taught courses at Biblical Theological Seminary, Wesley Seminary, and Wilmington University. He also teaches courses in Houghton College's Equipping for Ministry Program. Dr. Meredith also serves the Chesapeake District as District Secretary, member of the DBA, and DBMD. Currently, Dr. Meredith is running as a candidate for a seat on the Christina School District Board of Education. Both Drs. Griffin hold undergraduate degrees from Hampton University (Dr. Meredith in Finance; Dr. Doris in Psychology). Dr. Meredith holds a Master of Divinity degree from Biblical Theological Seminary and a Doctor of Ministry degree from Regent University. Dr. Doris holds a Master of Education degree from Coppin State University and a Doctor of Education degree from Wilmington University. The Griffins live their lives to honor Christ and to lead others into a saving and sanctifying relationship with Him. They long and work to see New Castle County transformed through the reproduction of incarnational disciples and multiplying churches. Dave Finlay is the Senior Pastor of First Wesleyan Church in Easton, Maryland. Previous to his current position, Dave served as an assistant pastor at the church and then became the Senior Pastor in May of 2016. His wife Melinda is the Family Pastor at the church, and both are graduates of Kingswood University and ordained in The Wesleyan Church. Dave also has a Master of Arts from Indiana Wesleyan University. Dave and Melinda have four children: Jacob, Juliana, Ty and Ethan. Dave believes that the church must be actively involved in the community. He tries to lead through example by being involved in many different activities with schools, sports and church. He enjoys playing sports and spending time with his family. Originally from New Brunswick, Canada, hockey is a passion of his. He currently plays in an adult league and also coaches his son's team. Dave believes that God has exciting plans for Easton and its surrounding vicinity. There are over 162,000 people who live in this target area, and over 60% of them have no real church afﬁliation. Because of this Dave feels the mission is great! The prayer of Easton First Church this year has been Habakkuk 3:2, "Lord, I have heard of your fame; I stand in awe of your deeds, Lord. Repeat them in our day, in our time make them known; in wrath remember mercy." He recently challenged the church to the mission, "Connect people to Jesus." Mike Ennis serves as lead pastor at The River Church in Roxana, Delaware in the same town where he was born and attended Indian River High School. On March 31, 1972 Mike was saved at the Roxana Wesleyan Church and in August of the same year began his studies at United Wesleyan College in Allentown, Pennsylvania. During his years at United, Mike was called to preach and met his lovely wife Karen. Karen and Mike were married on August 17, 1974. They have two children, Heather and Mike Jr., and three grandchildren: Ephraim, Lilly and Gianna. Mike Jr. along with his wife Lexa are co-pastors of Broadview Wesleyan Church in the Illinois District, and Heather serves alongside her husband Pastor Bryan Sells at Healing Place Church, Waldorf, Maryland. Mike has been pastoring in The Wesleyan Church for 41 years, and he also worked for three years at Southern Wesleyan University in Central, South Carolina. Mike has pastored the following churches: Erma Wesleyan in Cape May, New Jersey; Delmar Wesleyan in Delmar, Maryland; Rochester Wesleyan in Rochester, Pennsylvania; and, Greenville First Wesleyan in Greenville, South Carolina. While pastoring in Greenville, Mike earned his Master's Degree in Ministry from Southern Wesleyan University. 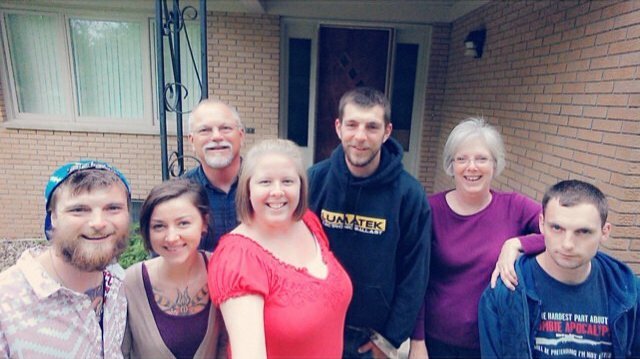 Mike then went on to pastor the Emmanuel Wesleyan Church in Roanoke, Virginia for 12 years. Feeling the call to return home to Roxana, six years ago Mike began his service at The River Church. Mike says, "My greatest joy is seeing people come to know Christ and helping them put their gifts and talents to use for Him." 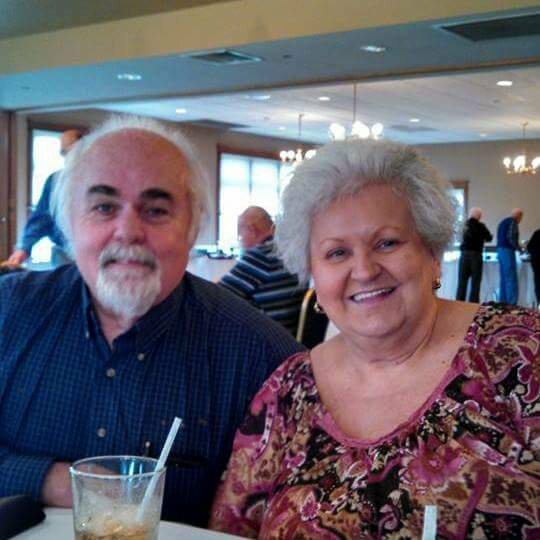 Karen and Mike love to play golf, take walks, read and spoil their grandchildren. Mike's prayer is to finish well for the Lord. 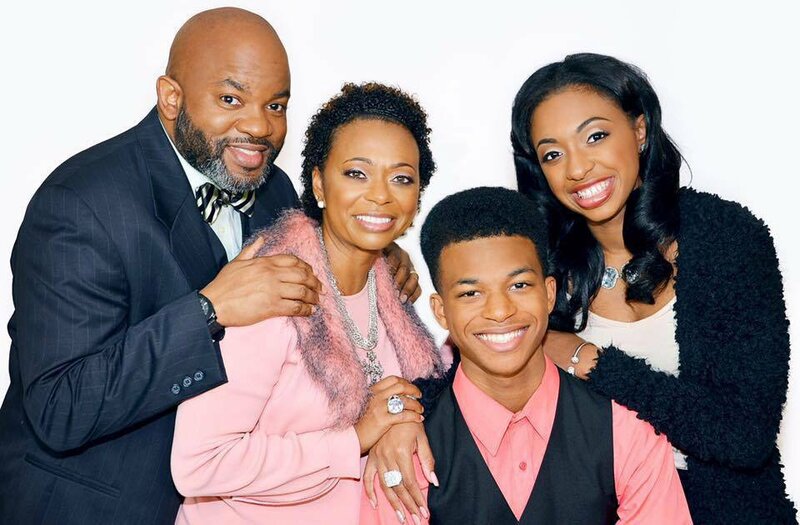 Charles C Hudson III better known as "Chuck" is in his seventh year as pastor of Hoopers Island Riverside Wesleyan Church in Fishing Creek, Maryland. Prior to his current position, Chuck served as Congregational Care Pastor at Millsboro Wesleyan, Millsboro, Delaware in the town where he grew up. The Lord called Chuck into the ministry later in life, and he responded in 2004 by enrolling in the World College of Theology. He obtained his associates degree in Ministry in 2006, completed his education through FLAME, and was ordained in October of 2015. Chuck is a bi-vocational pastor who works full-time as a truck driver for Waste Management in Georgetown, Delaware. Chuck and his wife Sandy have been married for sixteen years and have two children, Renee age thirty-four (husband Chris) and Ryan age fourteen as well as two grandchildren Niles and Roland, four and three years old respectively. Sandy is a full-time sales agent for the local State Farm Agency in Millsboro, Delaware. She serves as the Riverside children's ministry leader. Ryan is a ninth grade honors student at Salisbury Christian School, plays trombone, sings, and is on the school drama team. He is very active in ministry and helps as needed in worship and maintaining the media center at church. Chuck has a great love for fishing as well as hunting. He has said often, "The Lord has blessed him with some of the best messages sitting in a deer stand." He also loves the Washington Redskins and the Baltimore Orioles. Chuck believes that he is called to serve more than just a small church: he was called to be a pastor to the "island." He also believes that the only true way to serve our neighbors is not just to preach to them but to love them first. 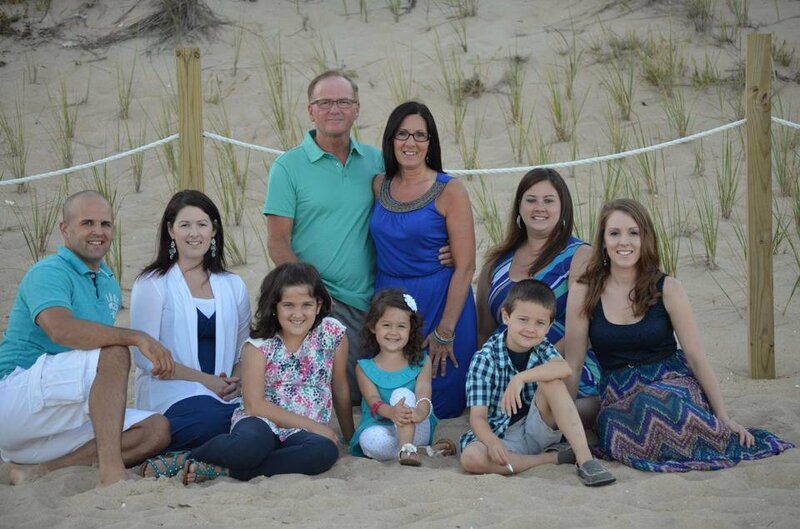 Ken Figgs has served as pastor of Calvary Wesleyan Church (CWC) in Harrington, Delaware since 2003. Under Pastor Ken's leadership CWC has grown from 240 in attendance to over 700 and community outreach has become a huge part of Calvary's vision. The church leadership and staff are actively involved in the schools, police department, fire department, community sports, community Bible studies, and food distribution plus over one million dollars has been raised for local, regional, and global missions. Pastor Ken states, "CWC's greatest joy was the launch of United Church in Dover, Delaware on September 20, 2015. United recently celebrated their first birthday with over 1,400 in attendance. God is absolutely amazing!" Ken and his lovely wife Debbie were married in Salisbury, Maryland on April 16, 1977. In 1983 they moved to Allentown, Pennsylvania, along with their daughter April, to attend United Wesleyan College where Ken graduated in May of 1985. 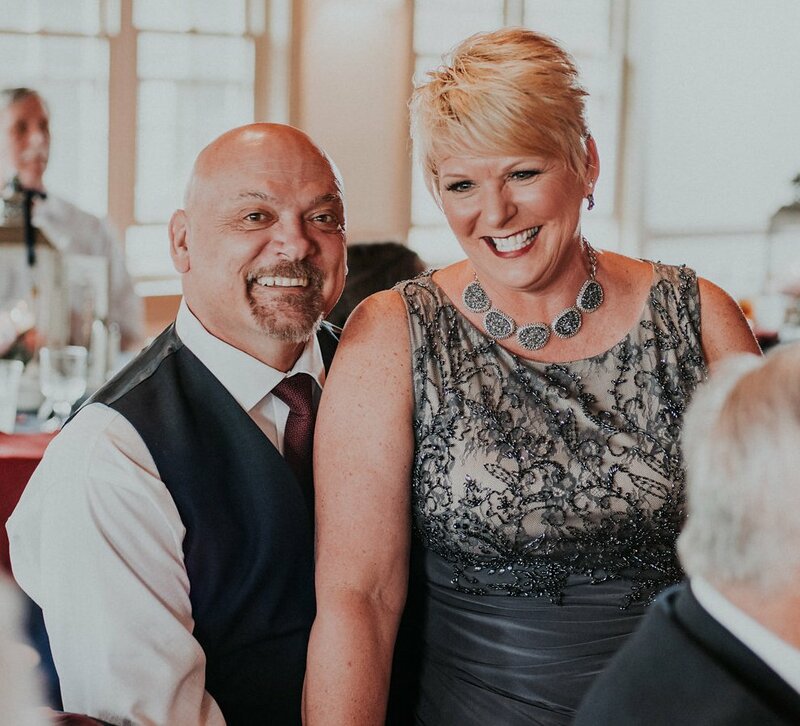 While in college, Ken and Debbie accepted a staff position at Bethany Wesleyan Church in Cherryville, Pennsylvania as the Children and Bus Pastor. It was during this time that their second daughter Kristy was born. After Ken was ordained on August 15, 1986 at the Cherryville Church, the Figgs family moved to Washington, Pennsylvania to serve a Wesleyan Church. Two and half years later, the Figgs moved on to New Castle, Pennsylvania where they served for the next twelve years. In 1989 their third daughter Lisa was born. 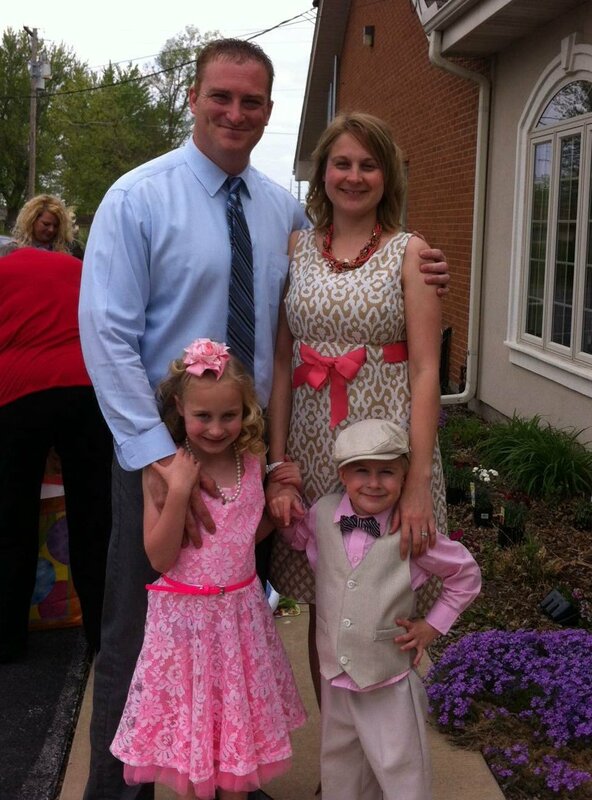 While serving the New Castle Church, Ken attended Indiana Wesleyan University from 1994-1998. In 2000, the Figgs moved to the Chesapeake District to lead the Roxana Wesleyan Church. After three years in Roxana they moved to Harrington, Delaware where they have served for the past thirteen years. Ken is also the Assistant District Superintendent, a member of the District Board of Administration, and Chairman of the District Board of Ministerial Development. 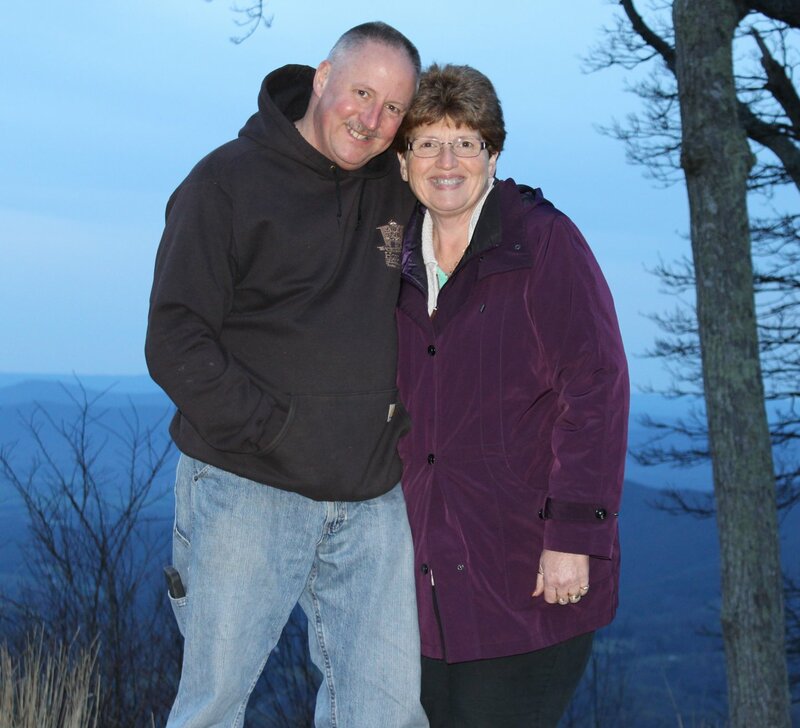 Ken and Debbie have served The Wesleyan Church in full-time ministry for 33 years. Jeff Phillips serves as Pastor of Crossroads Community Church in Hurlock, Maryland. Born in Hornell, New York, Jeff's family moved to Sharptown, Maryland when he was seventeen. He finished his senior year at Mardela High School in Mardela Springs, Maryland. It was here that he met his lovely wife Karen. They have been married for 26 years and have two beautiful daughters, Isabella (20) and Miranda (16). After graduating from high school, Jeff worked a year with his step-father on a bridge project in Sharptown. Following in his step-father's footsteps, Jeff studied to become a civil engineer. After graduating from college, Jeff began building bridges in Washington, DC; Annapolis, Maryland; and Richmond, Virginia. In 2001, however, God had other bridges He wanted Jeff to build. While attending a worship service at Mardela Wesleyan Church, Jeff gave his life to Christ. Not being raised in the church nor ever attending church unless it was a wedding, Jeff was amazed by how God's love and grace so dramatically changed his life. Reflecting on that day, Jeff writes: "I will never forget that day for as long as I live, and I am still in awe of God's love! "Jeff's call into ministry followed closely on the heels of his conversion. Though he admits that this call brought him way outside of his comfort zone, his love for God and his commitment to the mission of building bridges between God and others has enabled him to follow whenever and wherever God calls. Jeff is so thankful for those who have encouraged him along the way, especially his FLAME instructors and classmates. "Without FLAME," he writes, "I would probably not have been able to fulfill God's calling." 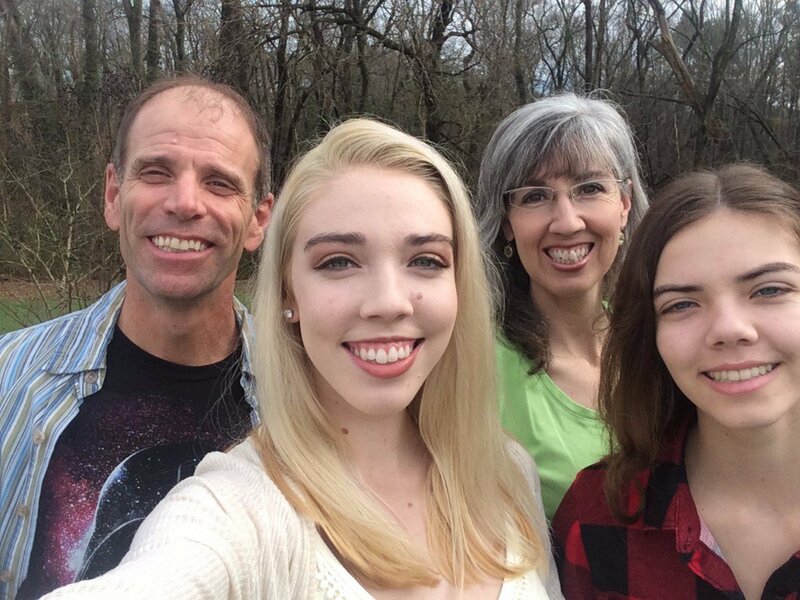 "The joy's in my life," Jeff continues, "are times when I see someone experience God, a time in prayer where I feel His presence, a long walk with my daughter Miranda, a coffee date with my daughter Isabella, and watching a movie with my wife. I enjoy reading, playing the bass, sporting clay shooting, car shows, and vacations. Jeff is looking forward to seeing God's plan unfold for his life, his family, and for his brothers and sisters in Christ at Crossroads Community and throughout The Wesleyan Church. 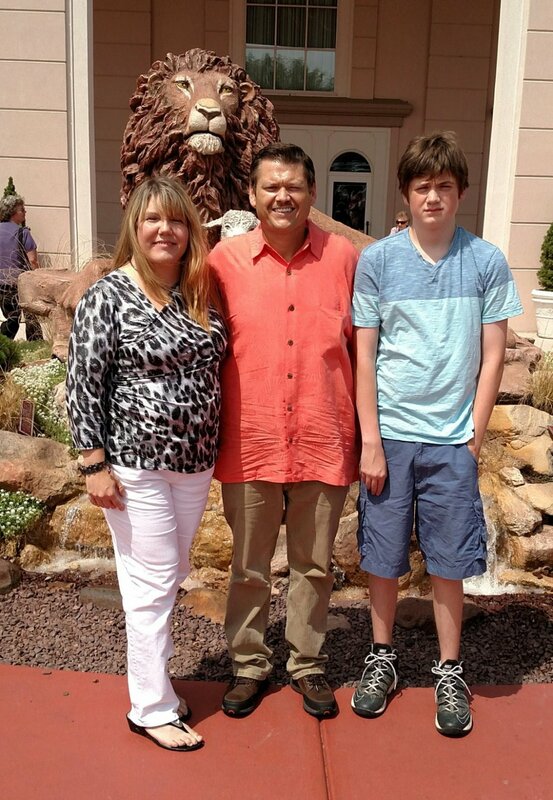 Mike Hilson is the Senior Pastor of New Life Church in La Plata, Maryland. 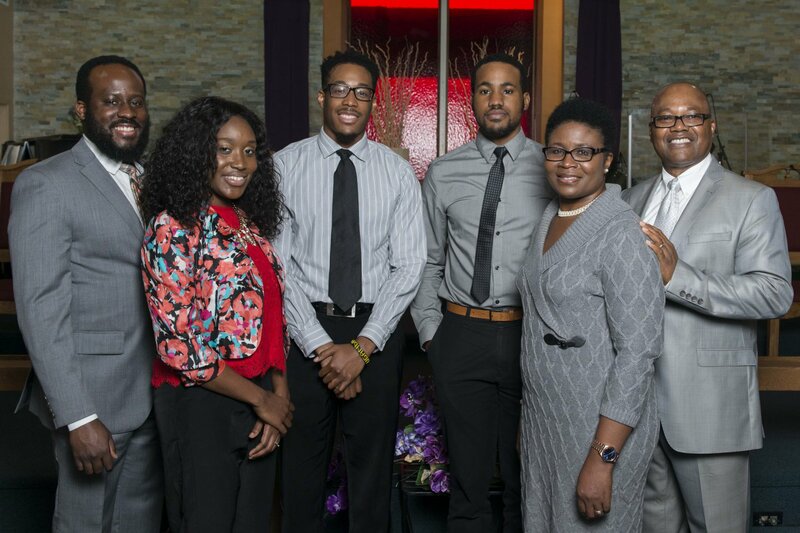 Starting out in 1999 with a congregation of less than 100 attendees, New Life Church has grown tremendously under his leadership multiplying into several churches and video venues in the DC Metro Area with more than 5,000 in regular attendance. In addition, the church has had a significant presence in local and international relief work. 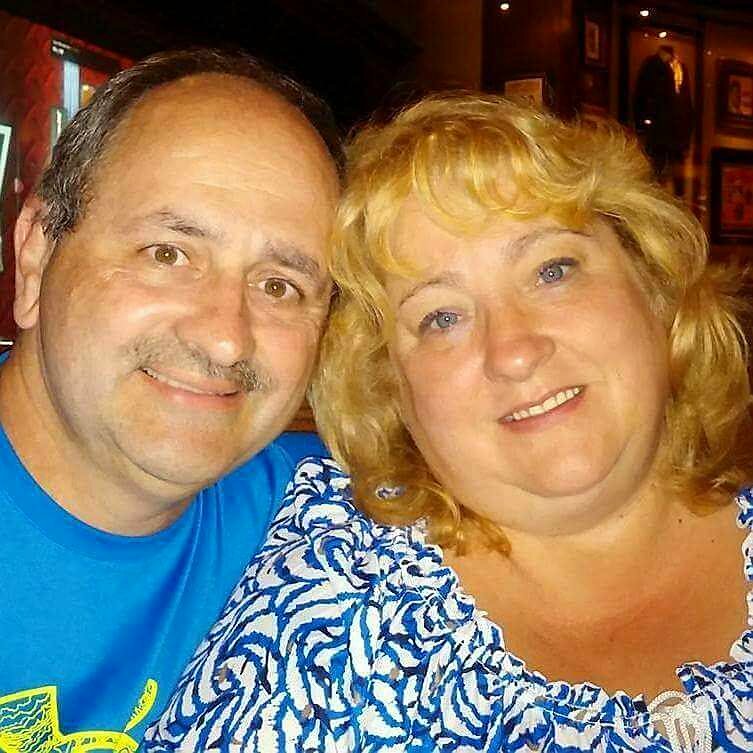 Mike and his wife, Tina, celebrated 28 years of marriage in July. Tina works for the church in Leadership and Staff Development. They have three sons, Robert, Stephen, and Joshua, who have taken this journey of ministry with them. Robert and Joshua work for the church as the senior high Youth Pastor and Worship Leader, respectively. Stephen graduated from Indiana Wesleyan University in April and is currently employed as an elementary school Music Teacher in Indiana. 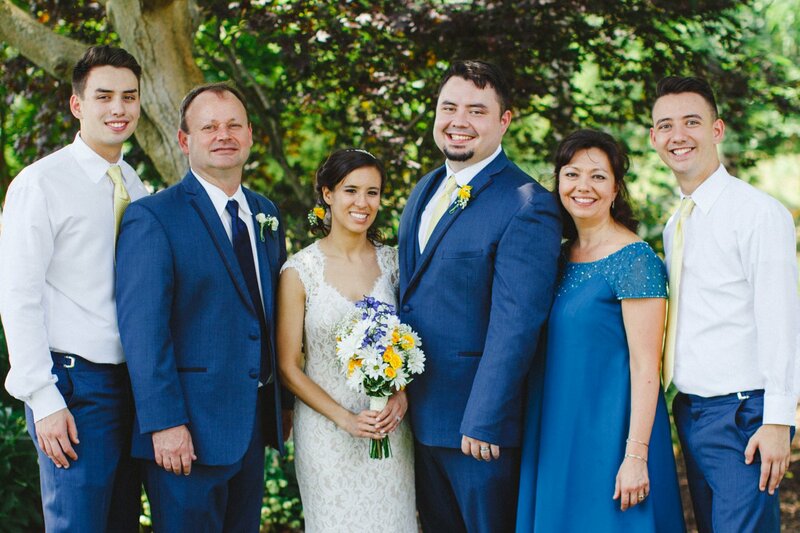 The Hilson family celebrated Robert's marriage to Amanda in June. Mike enjoys fishing and traveling. His favorite food is pizza, but he and Tina both like experiencing new foods, cooking Korean at home, and finding good new restaurants. Mike and his family consistently root for the University of North Carolina at Chapel Hill Tarheels for basketball, the Carolina Panthers for NFL, and the Clemson University Tigers for college football. God has blessed Mike with a wife who also loves watching these sports. Mike admires JoAnn Lyon who changed the world, Wayne Schmidt who changed the way we do church by teaching us church multiplication as well as church growth, and Harry Wood who changed the way we saw ourselves. Winston Churchill's fortitude to do the right thing in good times and bad and the Bush family's positive impact upon multiple generations of Americans both serve as an inspiration to him. Coaches like Tom Landry of the Dallas Cowboys and Dean Smith of UNC Tarheel Basketball capture his attention with their perfect balance of tenacity, intensity, composure and class. Mike currently serves on the Board of Trustees at Southern Wesleyan University, and he was recently elected to the General Board of Administration of the Wesleyan Church. Mike has written several books for the New Life congregation. They are available on Amazon and include: N apkin Theology, Speak Life, A Significant Impact for Christ, Coffee with the Pastor – the book of James, Coffee with the Pastor – The Chase: King David's Pursuit of the Heart of God, and Coffee with the Pastor – Walking in the Light: I, II, III John. Pastor George Bassey Sr. celebrates God's grace on a daily basis; he has come to understand that the grace of God is truly amazing. As he reflects on this grace, Pastor Bassey is amazed that a little boy who survived the Nigerian civil war of the late 1960s, a war that took the lives of seven members of his own family, is now a Christian leader in USA. He is also amazed that as the first person in his family to graduate from high school, God has blessed him with a Bachelor's degree, two master's degrees, and God is not finished yet. Furthermore, Pastor Bassey is amazed that the Lord called him eight years ago to leave his lucrative IT career of almost 25 years, to lead a congregation that was in serious trouble. Finally, Pastor Bassey is amazed that God has chosen to bless him with a wonderful wife of 34 years (Grace, a Registered Nurse), and with three adult sons: Dr. George Bassey Jr. (his wife, Keren), Samuel and Godfrey - all who are wonderfully blessed. Now, that is an amazing grace of God! Pastor Bassey holds a BS degree from Strayer University, an MBA degree from the University of the District of Columbia, and an MA in Ministerial Leadership from the Wesley Seminary at Indiana Wesleyan University. In his IT career, Pastor Bassey worked for various organizations, including Boroughs, Unisys, DynCorp, EDS, and Navy Federal Credit Union. Before he was called into fulltime ministry as senior pastor of National Wesleyan Church (NWC), a multinational and multicultural congregation which is located in Hyattsville, Maryland, Pastor Bassey served as a regional president for African Christian Fellowship, USA – an interdenominational Christian organization. He and his wife were introduced to NWC in 1991 by their oldest son's babysitter; they soon became covenant members, and continued for 16 years before Pastor Bassey became the senior pastor. Pastor Bassey is grateful to God for the ongoing work of transformation in his life and in the lives of his dear people at NWC. The congregation whose future was in doubt in 2008, is now becoming vibrant, enjoying four Sunday worship services at two campuses with an average worship attendance of almost 300 people. Pastor Bassey enjoys spending time with his family, watching football, meeting new people at NWC, going on cruises and international vacations. He believes that the best of his life is defined and sustained by God's amazing grace, and the best of NWC, are yet to come. He and his congregants believe that they exist to honor God by making more disciples for Him; and they are excited to serve God and their community. Rev. M. Scott Conn is the Senior Pastor of Laurel Wesleyan Church (LWC) in Laurel, Delaware. Scott has been fulfilling this calling since September of 2014. Scott is a 1989 graduate of United Wesleyan College with a Bachelor's Degree in Pastoral/Youth Ministry. Upon graduating college, Scott was led to take a senior pastoral position in Kent County, Delaware, where he pastored for eight years. At the conclusion of those years, the Lord led Scott to become an evangelist, and he devoted himself to full-time evangelistic work from 1997-2014. Scott traveled many places as an evangelist and held many revivals and various other services during this time. In June of 2014, Scott felt a strong call back into pastoral ministry specifically at LWC. Scott is excited about fulfilling the mission of Laurel Wesleyan Church to "Find, Follow, and Go." Scott can testify to God being faithful in his daily walk, and he looks toward the future knowing God will continue to guide his path as he leads the congregation of LWC. Scott and his wife Jackie celebrated 33 years of marriage in June. Scott and Jackie have four adult daughters: Irene, Jessica, Dianna, and Sarah. Their daughters are married and raising families of their own to love and serve the Lord. Currently, they have six grandchildren. Jackie has been a helper and support system to Scott in all of his ministry endeavors. She is devoted to her walk with the Lord and comes alongside Scott wherever the Lord calls him. Jackie previously taught at Wesleyan Christian School in Denton for 14 years as a kindergarten teacher. Currently, she substitutes teaches, helps Scott with ministry, and watches her grandchildren. In their spare time, Scott and Jackie enjoy spending time at the beach and camping. Michael Rogalski joined the Chesapeake District 10 years ago. With God's grace and a strong partnership with the New Life Network of churches in Southern Maryland, he launched and has led LifePoint Wesleyan Church for over 8 years and has seen it grow from 69 people to nearly 600 in average attendance. A graduate of Indiana Wesleyan University and having ministered in Kansas City, Northern Virginia, and Southern Maryland, he enjoys seeing people and churches become all that they can be. He loves to spend time with his wife of 18 years, Angela, and hang out with his four children: Abigail, Caleb, Anaiah, and Selah. He also likes gummy bears, caramel machiattos, red meat, sunny days, and just about anything risky or adventurous. If you've got a motorcycle you'd like to give him, he'll take it. If you've got food in your teeth, he'll tell you. And if you're wondering why you're here, he's passionate about helping people find their purpose on purpose. He's also very excited about what God will do at Vision 2020 firmly believing that the best is yet to come for you and your church! Marilyn Searcey serves as the pastor of Mardela Springs Wesleyan Church (MSWC) in Mardela Springs, Maryland. Marilyn has been ministering to people in various capacities for most of her life. Her early career as a Social Worker allowed her the opportunity to minister to people in schools, hospitals, and community organizations. This experience and training has only enhanced her ministry to people through her role as pastor in the rural community of Mardela Springs. Through the revitalization of MSWC there is a new mission to have great impact in the community through its partnerships with community organizations and its ministries to the imprisoned, the homeless, widows, and orphans. Marilyn describes MSWC as a microchurch on a mighty mission for Christ. She is a firm believer that small churches don't need to think small, but can have great impact in the Body of Christ. Marilyn earned her master's degree in Social in 1993 and is scheduled to graduate April 30th from Wesley Seminary with a Master's in Practical Theology. In addition to her role as pastor, she serves as the President of the Chesapeake Camp & Conference Center and Adjunct Professor at Salisbury University. She, also, serves on various community boards and committees and as the Chesapeake Director of Children's Camping Ministries. This year Marilyn and Robert Searcey will celebrate 25 years of marriage. Robert is a partner in ministry as well as the Director of Facilities for the Delmar School District. He serves on the District Board of Administration for the Chesapeake District as well as the District Building Committee. They have three adult children: Ryan, Luke, and Hannah. 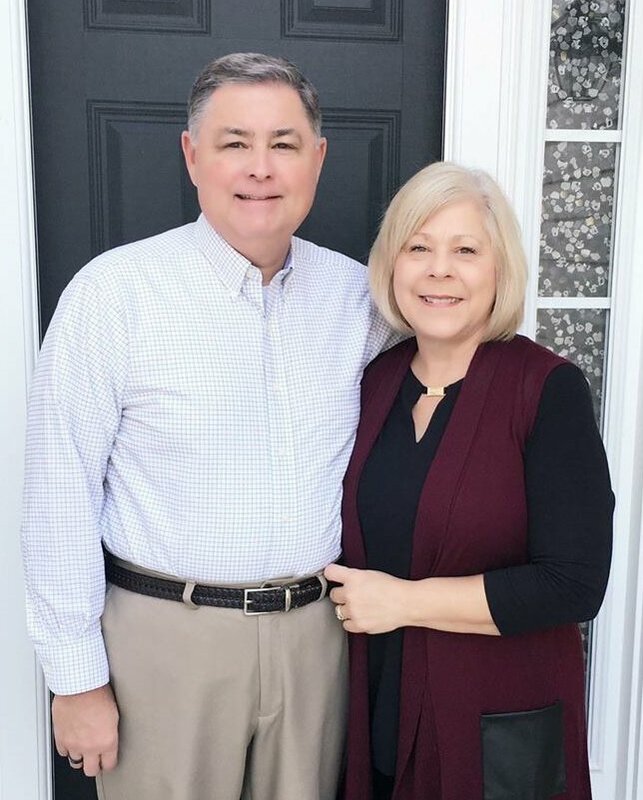 Todd and Diane Crofford planted Real Life Wesleyan Church in Mechanicsville, Maryland in the fall of 2008 where Todd currently serves as Senior Pastor and Diane is Director of Worship. Prior to 2008, Pastor Todd served as Senior Pastor at the Laurel Wesleyan Church, in Laurel, Delaware. Pastor Todd has a Bachelor's Degree from Eastern Nazarene College, a Master of Ministry Degree from Indiana Wesleyan University, and a Doctor of Ministry degree from Talbot Theological Seminary. Diane is a graduate of Roberts Wesleyan College with a bachelor's degree in music. Pastor Todd is a big fan of The Indianapolis Colts, triathlons, and cookies - though not necessarily in that order. Todd and Diane have been very happily married for 27 years and have five children. Their oldest Gabrielle, works for World Hope International in Alexandria, Virginia. Their second daughter, Tori is a Worship Arts Major at Indiana Wesleyan University. Their three youngest children, Clay, Candesce, and Carissa are still at home and active with the youth at Real Life. Dr. Kye Soo Ahn serves as the senior pastor of the Wesleyan Methodist Church of Beauty in Rockville, Maryland. He was a professor at The Methodist Theological Seminary and an associate pastor at Shilim First Methodist Church in Seoul, Korea before moving to the United States in 1992. 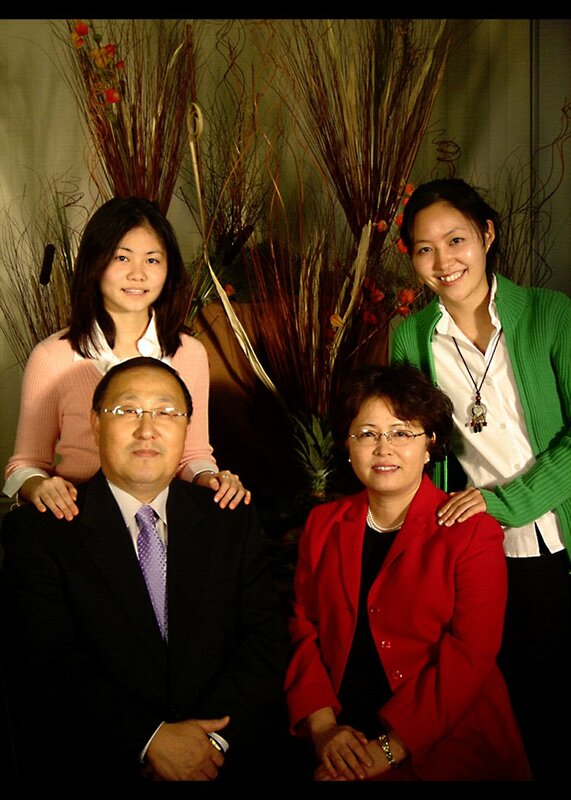 In October 1993, he and his family started serving Church of Beauty in Waldorf, Maryland with a congregation of Korean Americans and military families. Today, Church of Beauty is a multicultural church that believes in following Jesus and serving the community through worship, prayer, evangelism and missions. Kye Soo and his wife Michin have two adult children, Claire and Chieun. In his spare time, he enjoys playing volleyball, watching sports, participating in mission trips and spending time with his family. 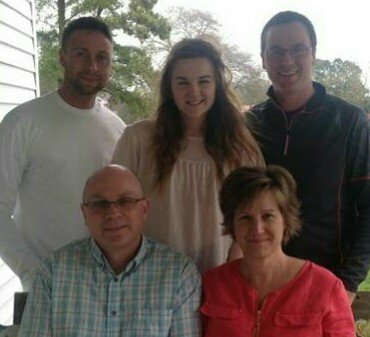 Doug Morley has just completed his eighteenth year as pastor of Bethel Wesleyan Church in Goldsboro, Maryland. Under his watch, God has blessed this congregation with incremental growth, having an average of 34 in attendance in 1997 to a current attendance average of 89. It was while pastoring in the Chesapeake District that Doug met and married his wife, Karen (Holland) in 2002. God has blessed them with two boys, Ryan (2004) and Drew (2007). Doug earned a Bachelor of Arts degree from Oklahoma Wesleyan University (formerly Bartlesville Wesleyan College) in 1988 and a Masters of Divinity degree from Asbury Theological Seminary in 1995 at which time he moved to the Chesapeake District. 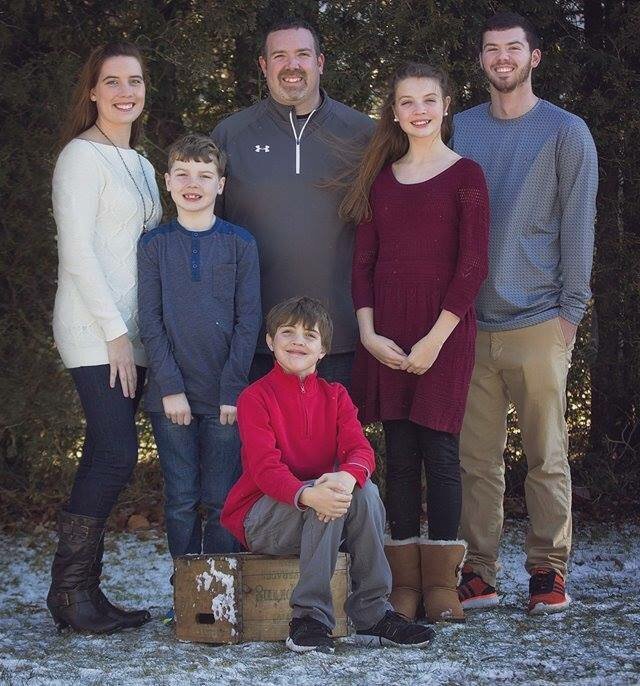 Prior to pastoring Bethel Wesleyan, Doug served as Youth Pastor in Belleville, Kansas and as Youth/Young Adult Pastor of the Chesapeake "Cluster" Churches, which included Cedar Grove, Denton First, Goldsboro Bethel, Greensboro New Life, and Ridgely Immanuel. He also taught Bible at the Wesleyan Christian School in Denton. Doug enjoys spending time with his family, watching his sons play soccer, taking and posting pictures, working in the yard and around the house, taking walks with his dogs, and going to the beach. He is especially grateful for his Christian heritage, God's tug upon his heart at an early age, his call into full-time Christians service as a teen at youth camp, the many opportunities God has given him to share the love of Jesus with both young and old alike, and the privilege of being Karen's husband and the dad of Ryan and Drew! Larry Pritchett, a graduate of Zarephath Bible Seminary, has served as pastor in Boulder, Colorado; Old Bridge, New Jersey; Millsboro and Milton, Delaware and Denton, Maryland where he is currently serving. He also served three years as a missionary in London, England. Ordained in 1990, Larry is a mechanical contractor by trade and still works in the field part-time. Larry and his wife Brenda have been married for 44 years and have three grown children, Dawn, Scott, and Beth as well as six grandchildren. Brenda, who plays the organ, has always been a partner in ministry. The passage of Scripture that guides Larry's ministry is John 15:5 where Jesus says to his disciples, "without me you can do nothing." "Nothing of eternal value is ever accomplished unless it is accomplished by the Spirit of Christ in us!" exclaims Larry. Larry goes on to say that "It has been a pleasure beyond measure that I will always treasure to have been a pastor in The Wesleyan Church." Eddie Elms has served as pastor of two congregations in the last ten years. The last four years Pastor Eddie served as lead pastor of New Liberty Wesleyan Church, and prior to his work at New Liberty he was pastor of Hurlock Wesleyan Church. Pastor Eddie was also involved in youth ministry for five years. Eddie and his wife Tricia have been married for 25 years and have one grown daughter (Amanda). Eddie was ordained in the Chesapeake District in 2012. Wes McCallum is the pastor at The Journey in Millsboro, Delaware. Pastor Wes is married to Patti McCallum who also assists in various ministries as a Commissioned Special Worker. The couple graduated from Houghton College, and Wes is also a graduate of United Wesleyan College. Their vision for The Journey is that it becomes a life-giving church that is inspirational in worship, transformational in life-change, relational in outreach, and missional in service. Recently, Wes and Patti McCallum served as worship leaders at Seifert Camp in Pennsylvania and the Brooksville Bible Conference in Florida. Patti has been a violinist with symphony and chamber orchestras. Previously, the couple served pastoral assignments in New York, Georgia, and Indiana. They have travelled nationally as General Evangelists. 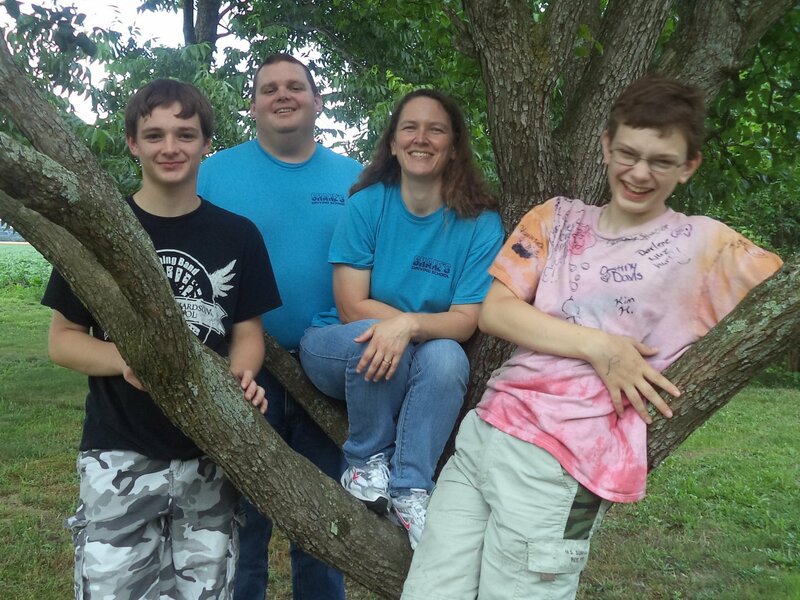 Their son's family, Nathaniel and Michelle McCallum, live in Raleigh, North Carolina with their five children, David (9), Grace (8), Gregory (6), John (4), and Eric (1). The family is very active in church. Their daughter's family, Rachel and Kyle Chahanovich live in Wicklow, Ireland with their three children, Ashlyn (11), Emmy (8), and Elijah (3). As missionaries to Ireland, the couple has recently planted a church. 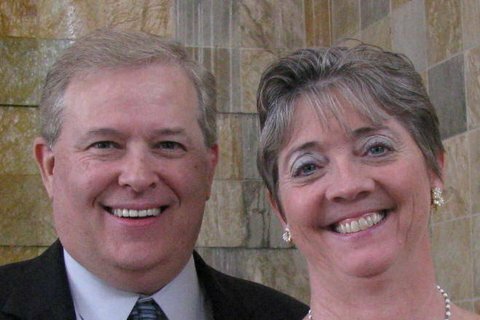 Patti's parents, Wolfgang and Loretta Adels, are retired in New York where they served as lay church planters. Wes's parents, Dr. Charles & Roberta McCallum, are retired in Kansas, and have served as pastors, missionaries, and educators. Wes is one of three brothers serving as pastors. Pastor Chris Whetlor and his wife, Beth, have accepted the call to pastor Trinity Wesleyan Church in Dover, Delaware. Born and raised in Droitwich, England, Chris came to the States in 1989 to serve as a counselor at Camp Pecometh in Centreville, Maryland where he met Beth. Since his conversion, Chris has been actively involved in church ministry serving variously as lay leader, Sunday school teacher, small group leader and youth leader. In 2004, he accepted the call to pastor Bethlehem Wesleyan Church in Preston, Maryland where he has served up to his most recent appointment. Chris received a degree in Biblical Studies from Indiana Wesleyan University and is currently enrolled in the Masters of Divinity program at Wesley Seminary. 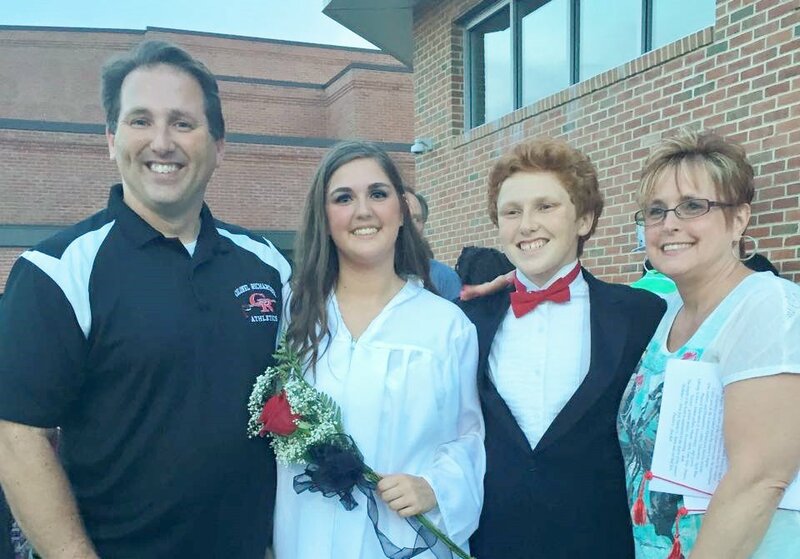 Chris and Beth have been married for 22 years and have two children, Rebekah (18) and Daniel (15). 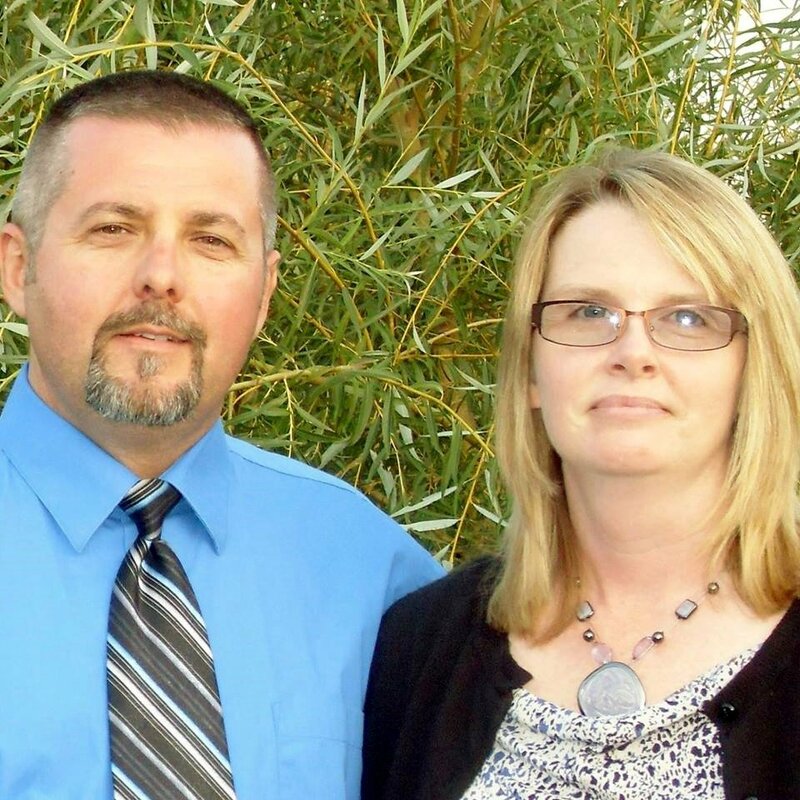 Pastor Shane Dickinson and his wife, Dawn, have accepted the call to pastor Bohemia Wesleyan Church in Chesapeake City, Maryland. Shane grew up in South Falls, New York and attended both Bethany Bible College and Southern Wesleyan University where he met Dawn. They have been married for 17 years and have two sons, Austin (17) and Jacob (14). 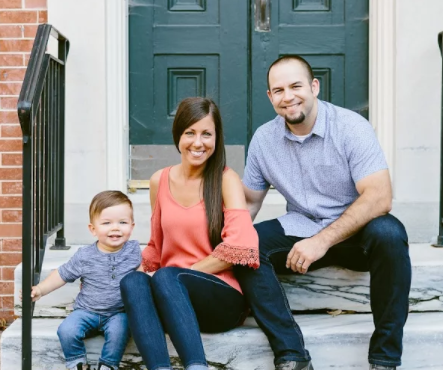 Shane has served as youth minister at Bethlehem, Denton First, and Greensboro New Life as well as pastor at The Wesleyan Church in Exmore, Virginia. While in Exmore, Shane also served as town and police chaplain. Along with their pastoral responsibilities the Dickinson's are also the owner/operators of Shane's Driving School, LLC in Easton, Maryland. The Dickinson's enjoy camping and riding motorcycles. 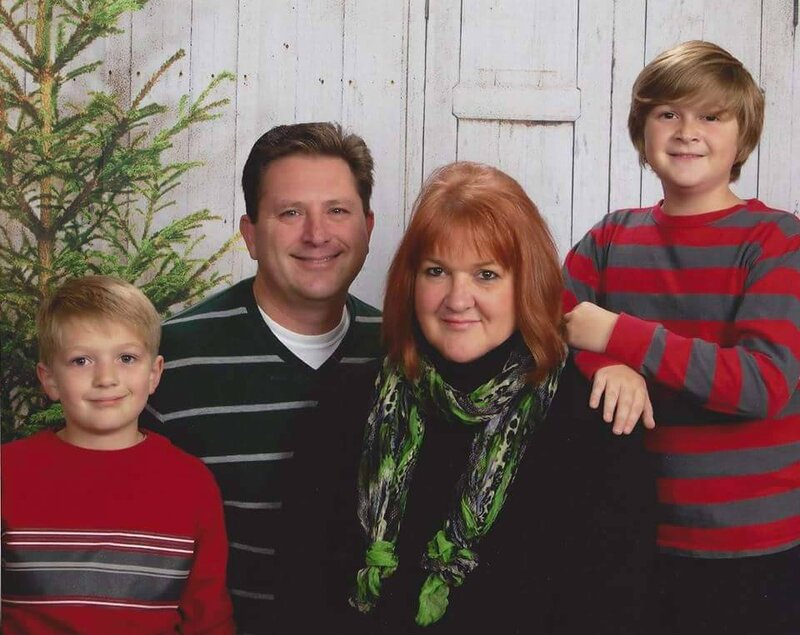 Pastor Dave Souder and his wife, Deb, have accepted the call to pastor Smyrna Wesleyan Church in Smyrna, Delaware. Pastor Dave is a 1988 graduate of United Wesleyan College in Allentown, Pennsylvania and has been in ministry for 27 years. He has served his last ten years as pastor of Gumboro Wesleyan Church. Deb is a 1989 graduate of Houghton College. She serves the church as an administrative assistant in charge of assimilation, communication and office administration. She is also serves as a pianist. 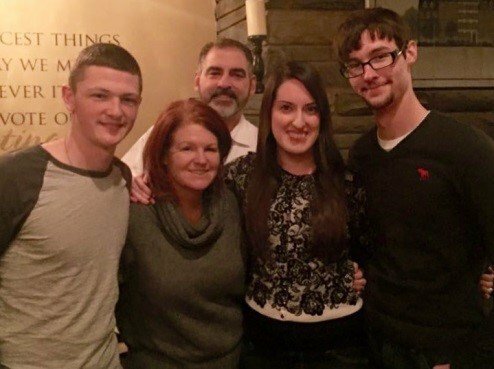 The Souder's have been married for 23 years and have three children: Megan (20), Josh (18) and Caleb (17). The Chesapeake District welcomes Pastor Clive Heyd and his wife, Barbara to New Life Wesleyan Church in Greensboro, Maryland. Born and raised in Michigan, Clive graduated from Indiana Wesleyan University in 1983, was ordained in 1985, and has served the church for 35 years. Barb was born in Ohio and raised as a missionary kid in the country of Brazil. She returned to the States at seventeen and met Clive at Indiana Wesleyan University in 1980. They were married in June of 1983. The Heyd's have three sons. Nicholas lives in Kalamazoo, Michigan with his wife Nichole and works in construction while Nichole serves as a housekeeper at Burgess Hospital. Justin lives in Jackson, Michigan and works as a specialist for Magnesium Molding Products. Trevor lives in Jackson with his wife Kaitlyn and is an ordained minister in The Wesleyan Church, a professional skate boarder and beat boxer. Jonathan Daniels has served as the pastor of Delmar Wesleyan Church for three years. He and his wife Nicole have been married for seventeen years and have four children: Jonathan (22), Brandon (22), Lauren (20) and Nicholas (16 - pictured). They are also the proud grandparents of Skylar (3) and a granddaughter on the way. Jonathan comes from a family of pastors. His dad, Bob Daniels has pastored the Crisfield Wesleyan Church for 42 years and his brother Eddie recently accepted the call to pastor Calvary Wesleyan Church in Gumboro, Delaware. Along with pastoring, Jonathan has been involved in evangelistic work, speaking and singing at camp meetings, revivals, seminars and special events. Pastor Jenn Legacy and her husband Rick moved to Maryland in 2002 as a military family, both serving at the Pentagon. 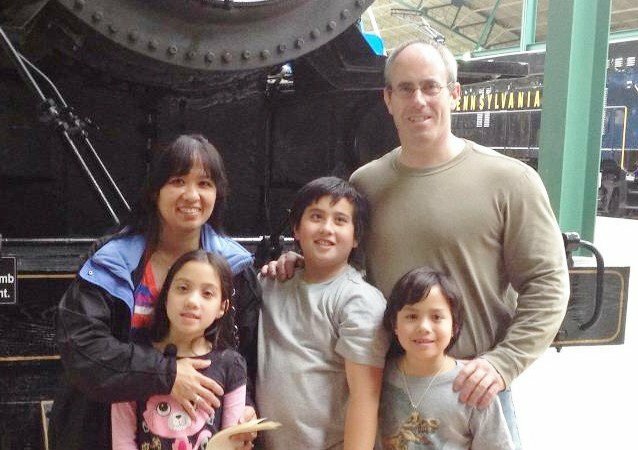 Jenn began to feel God pulling her away from her military career and towards ministry, and so became very active in many volunteer roles at New Life Wesleyan, in La Plata. She started ministerial classes and eventually joined the New Life staff as Director of Discipleship. In 2012 Jenn was licensed as a Wesleyan pastor and joined Pastor Moe Diggs as the Assistant Pastor for Healing Place Church. She and Rick served at Healing Place with great joy for two and a half years. During an eight month sabbatical from vocational ministry, Pastor Jenn completed her Bachelor's Degree in Biblical Studies in July of 2015. Three weeks later, she and her husband accepted God's call (rather a surprise, but that is often how God works) and embraced Oakwood Wesleyan in Glen Burnie as their new church home and her appointment as Oakwood's pastor. Jenn and Rick have three grown boys, Dillon, R.D. (not shown), and Kaleb. After a September 25th celebration a wonderful daughter-in-law, Holly, will join the Legacy family. Rick retired from active duty after 22 years of service in the U.S. Air Force and is now a contractor supporting the Department of Defense. Pastor Jenn enjoyed every moment of her 13 years in the military, but is exceedingly humbled and grateful that God called her into ministry. As a couple they enjoy early morning gym time, walks and hikes in the woods plus other fun places (like Scotland, upstate New York, or Alaska) and time spent with their family, which includes their dogs. Pastor Jenn loves early morning quiet time on the back deck with God, the pups, and her coffee. They can't wait for what is next, "We are thrilled at where God is taking us and anticipate what He has planned for Oakwood and its community." Pastor Ken Clendaniel has been pastoring for 22 years - the first eleven years as a youth pastor and the last eleven as the pastor of Oakwood Wesleyan Church in Glen Burnie, Maryland. 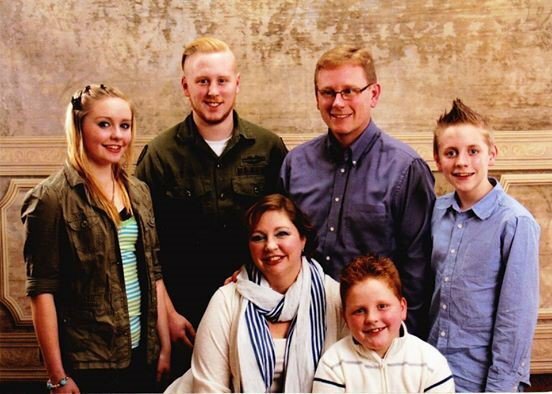 Ken and his wife of 23 years, Missy, a licensed special worker in The Wesleyan Church, have four children: KC (20), Carmen (16), Cory (15) and Cameron (10). Ken graduated from Hobe Sound Bible College in 1993 and recently completed his Masters of Divinity Degree from Wesleyan Seminary in Indiana. He enjoys distance running and has completed two half marathons, one full marathon, and is currently training to run another marathon in October of this year. Ordained by the Chesapeake District in 2005, Ken is currently serving at Bethlehem Wesleyan Church in Preston, Maryland. Pastor Jade Rogers assumed the lead pastor position at Keymar Evangelical Church in July. He comes to the Chesapeake District from Joplin, Missouri along with his wife, Michelle, and their two children, Bryona, 7 and Levi, 5. After graduating from MidAmerica Nazarene University, Jade served as youth Pastor for ten years in Kansas, Tennessee and Oklahoma before assuming the lead pastor position in Joplin. Michelle, who is also a graduate of MidAmerica Nazarene University, taught first grade for four years before becoming a stay-at-home mom. Pastor Jade has a passion for reaching people for Christ by any means necessary and equipping others to do the same.